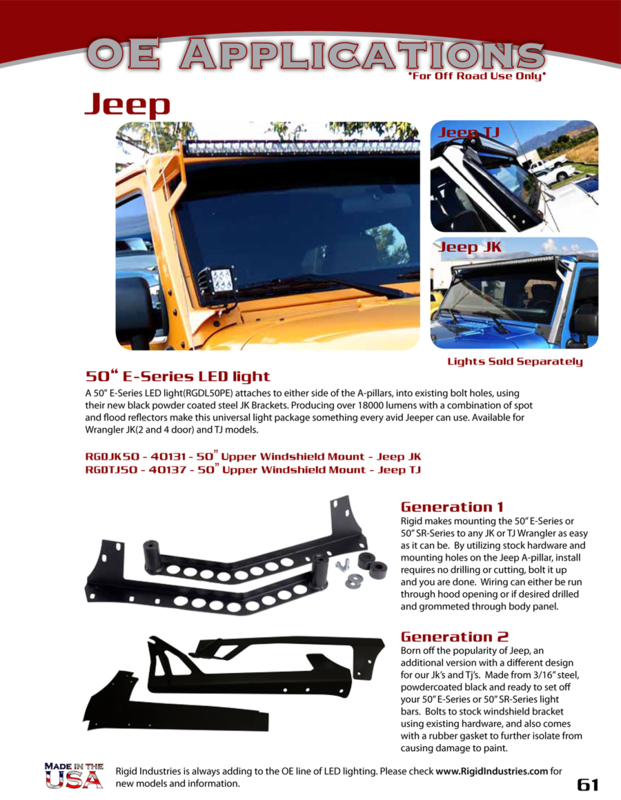 The Jeep JK/TJ has reached cult status among the masses, and Rigid Industries Has just offered an E-Series LED Light mounting option to their list of OE applications. A 50" E-Series LED light attaches to either side of the A-pillars, into existing bolt holes, using their new steel JK Brackets. 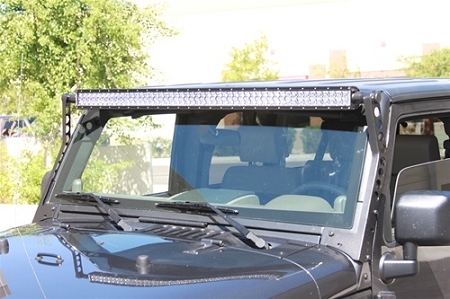 Producing over 18000 lumens with a combination of spot and flood reflectors make this universal light package something every avid Jeeper can use. Available for JK models. 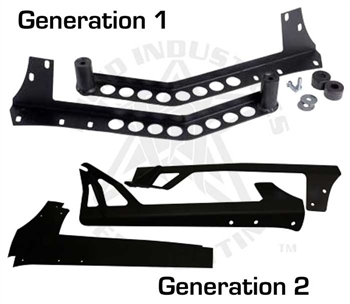 Bracket comes with Satin Black powdercoat to match the light. 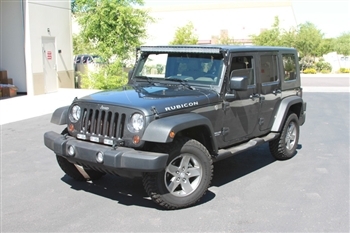 Kit includes JK or TJ mounts, 50" E series light bar and plug and play wire harness with switch and relay. We also offer the same kit but with the "SR" Series Single Row Lights. 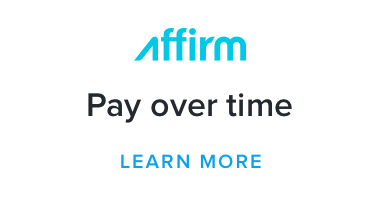 Select at checkout!